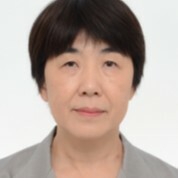 Dr Naoko Yamamoto Assistant Director-General Universal Health Coverage and Health Systems World Health Organization	Dr Naoko Yamamoto graduated from Sapporo Medical University with the coveted degree of MD in 1985. She began her career at the Planning Division of the Health Policy Bureau at the Ministry of Health and Welfare (MHLW) of Japan. After a time spent at the Health Guidance Division, Health Department, Health and Medical Bureau, City of Yokohama of Kanagawa prefecture, she worked at the Planning and Coordination Bureau, Environment Agency of Japan between 1989 and 1990. During this period, she also continued her epidemiological research activities and was conferred PhD degree from Okayama University in 1990. In 1991-1992, she studied in Johns Hopkins School of Public Health with the coveted degree of MPH. She then came back to the Ministry of Health and Welfare as Deputy Director for communicable diseases between 1992 and 1994. After that, she worked in several offices and divisions at the MHLW including the office of organ transportation and division of blood and blood products. She was also seconded to the Department of Health and Environment, the Sasebo City Office of Nagasaki prefecture as Director, to the Urayasu City of Chiba prefecture as Deputy Mayor, and to the Health and Welfare Department, the Chiba prefectural Government as Senior advisor for Governor. In 2004-2007, she worked in the Permanent Mission of Japan to the United Nations as Counsellor. In 2009-2011 she was appointed Director of the Health and Medical Division of the Bureau of Personnel and Education at the Ministry of Defense (MOD). At that time she was the first lady director in the MOD in Japan. In 2011-2013 she was appointed Director of Division for Rare Diseases, MHLW, and worked on creating a new medical and welfare system for rare diseases patients. In 2015-2016, she was Assistant Minister for Global Health at the Ministry of Health, Labour and Welfare , with Health Industry Strategy added to her responsibility in July 2016, and she became Senior Assistant Minister for Global Health as the first lady medical doctor in Japan. Since October 2017, she has been the Assistant Director-General for the Universal Health Coverage and Health Systems Cluster at the World Health Organization.